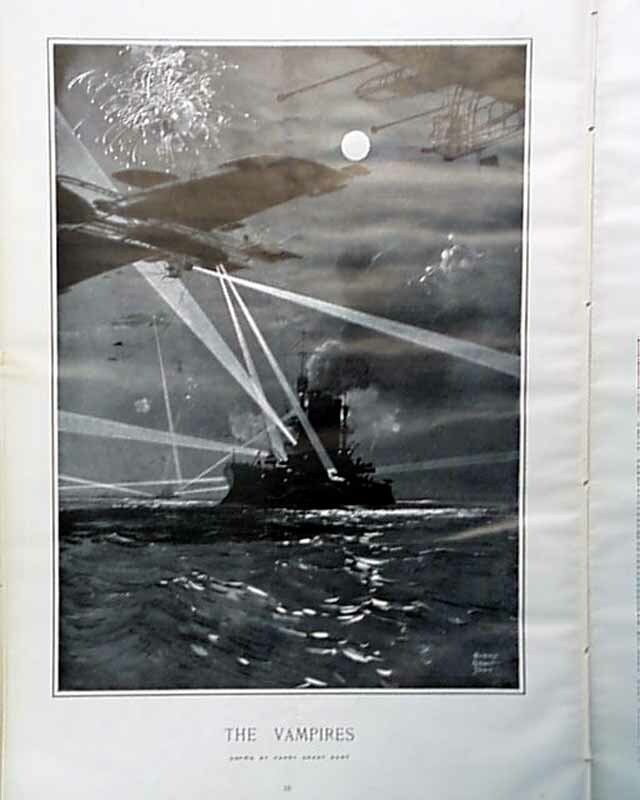 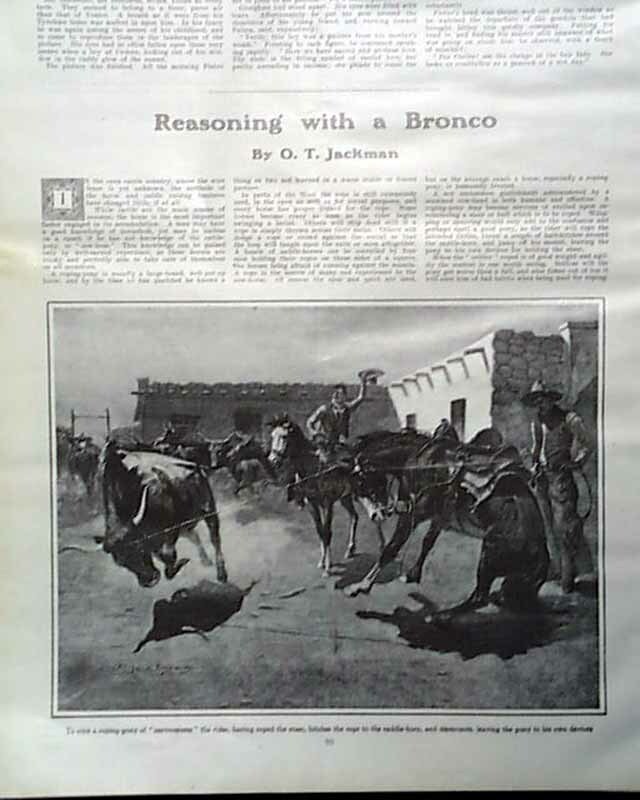 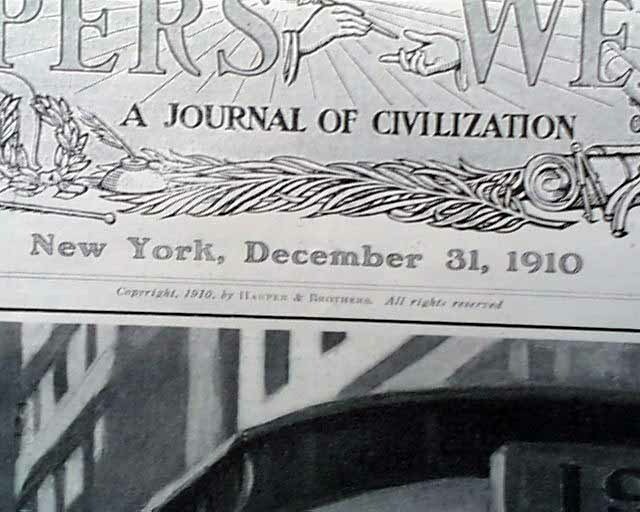 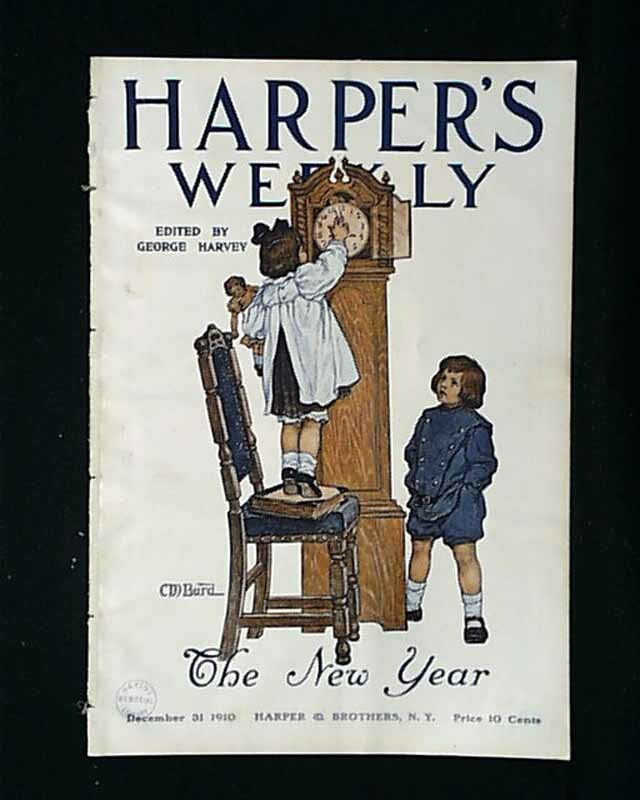 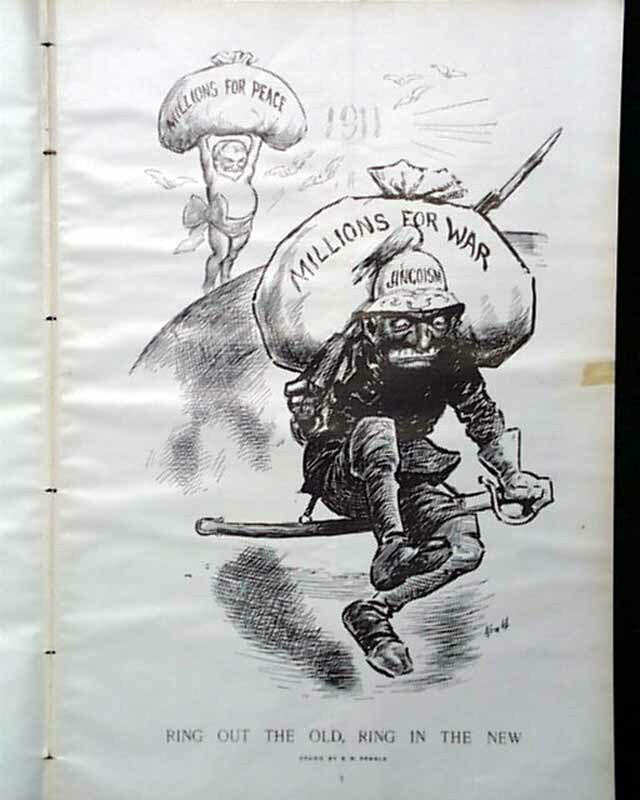 This issue has an illustration of "Ring Out the Old, Ring in the New" by Kemble. 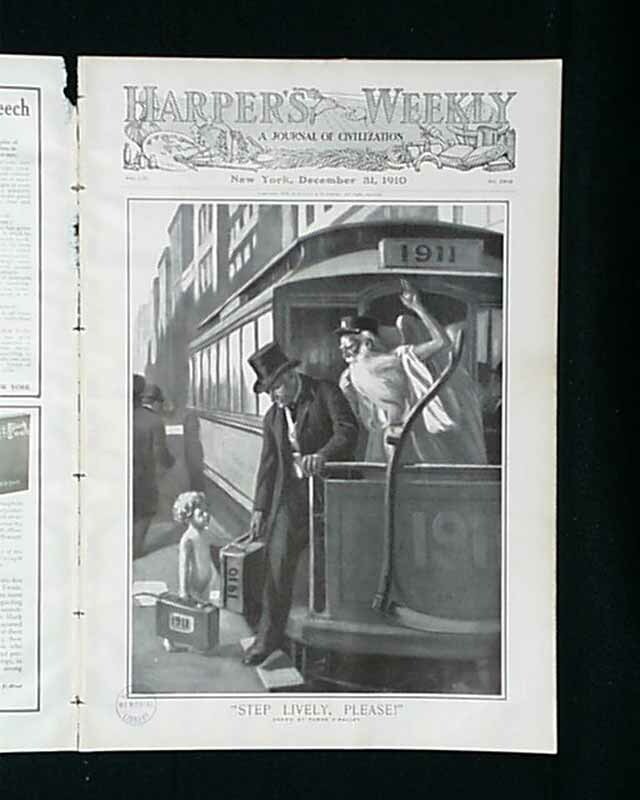 Also in this issue is a full page illustration of "The Vampires" by Harry Grant Dart. 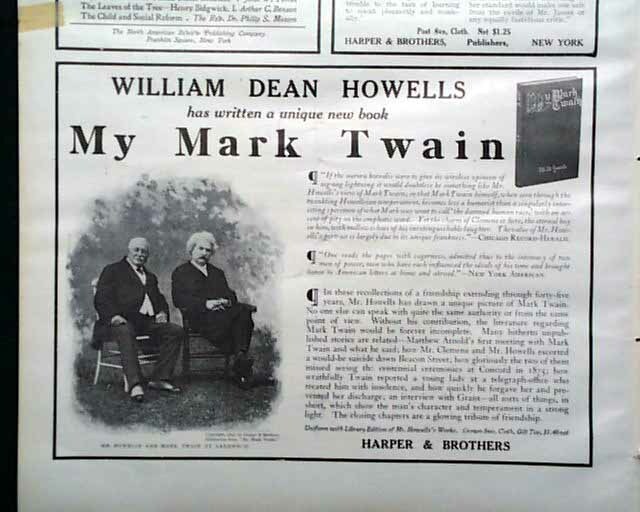 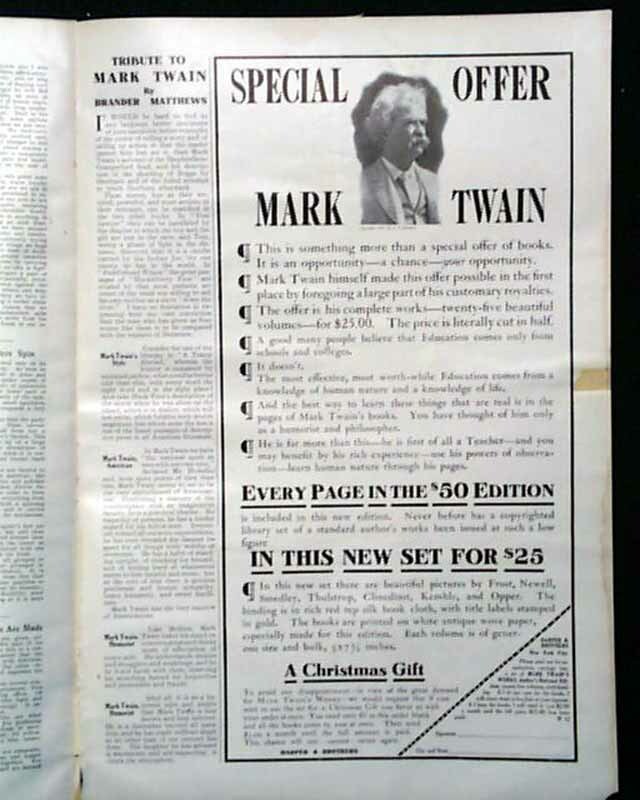 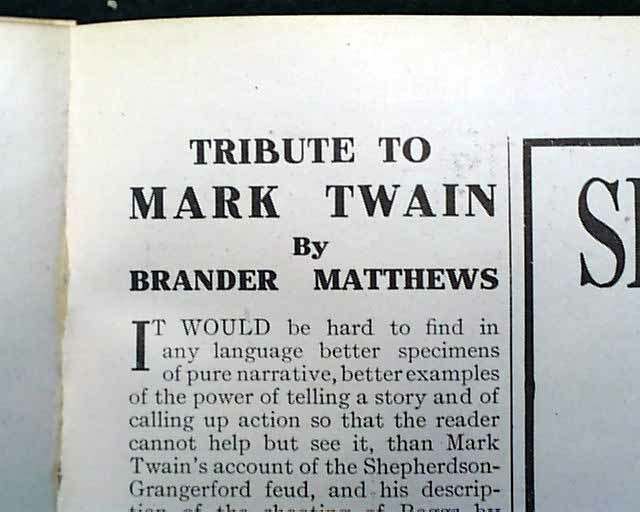 There is also a full page ad for Mark Twain's books and there is a "Tribute to Mark Twain" by Brander Matthews plus much more.